Come to Pasitos for fun this summer. Due to its popularity, we are bringing Robotics back for two weeks! Keep brains working through the summer to avoid summer language loss (while disguised as fun!). Children will be grouped by grade level spans. All weeks feature complete Spanish immersion and an integration of computers and technology. STEM and Spanish- what a great combination! ​At least one field trip is tentatively scheduled for each week. More information to be sent to enrolled families. Let your imagination run wild! Make your own sunscreen and sunscreened lip balm using organic and natural materials. Make your own soothing salt bath fizzies which are great to give as a homemade gift! Of course, we will be trying out different recipes for slime. Technology integration- make a tutorial to help others with the recipes (and practice some Spanish, too!). This camp is for children currently enrolled in TK - 5th grade. Children will be grouped by grade level spans. Children completing 3rd-5th grade will have the opportunity to participate in leadership development activities. For children who love to be in the kitchen, our week-long class will have us cooking and enjoying dishes from the Latin American cuisine. We’ll begin with kitchen basics and standard techniques, using a variety of cooking methods to explore various cuisines throughout the week. We will also learn about the ingredients involved in making traditional treats. Recipes include making street corn in a DYI solar oven, tostadas, chips, popusas and salsas. Learn about reasons for choosing organic versus conventional. This camp is for children currently enrolled in TK - 5th grade. Children will be grouped by grade level spans. Children completing 3rd-5th grade will have the opportunity to participate in leadership development activities. ​These camps introduce girls and boys to projects of STEM (Science, Technology, Engineering, and Mathematics) and Tinkering (learning by doing). Featuring curriculum from LIKS.co, we will be joined by the LIKS founder, Adolfo Ferrer. Attend one week, or as many as you’d like! 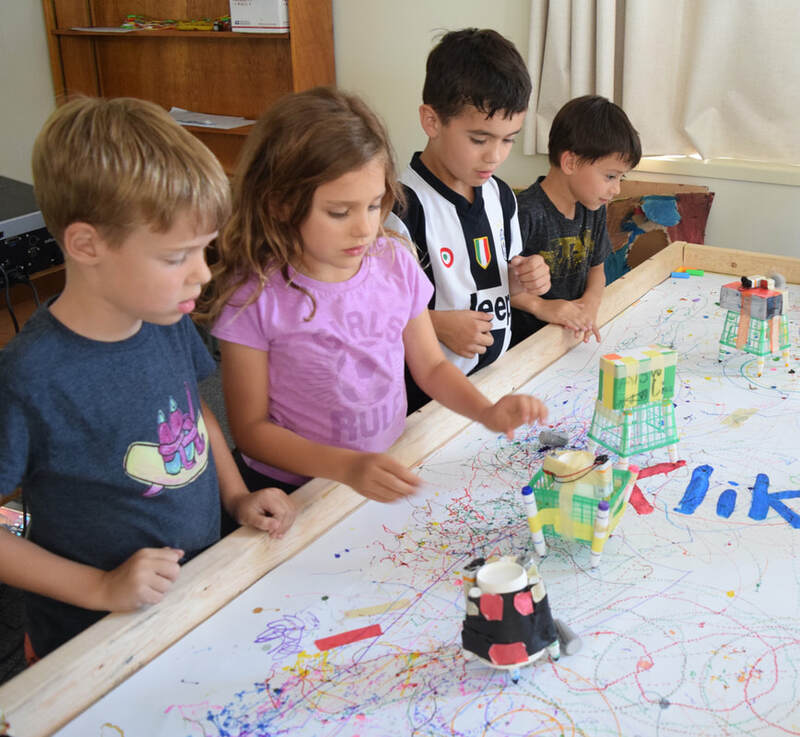 Children will work with various devices, including robots, to work as a team to design their own creations. Your child will learn to work with others, work with robotics, learn programming, and gain confidence and interest STEM. Each week different skills, materials, and devices or robots will be presented, regardless of your child’s current robotics skill level. All Camps in Spanish- all levels of Spanish are welcome!